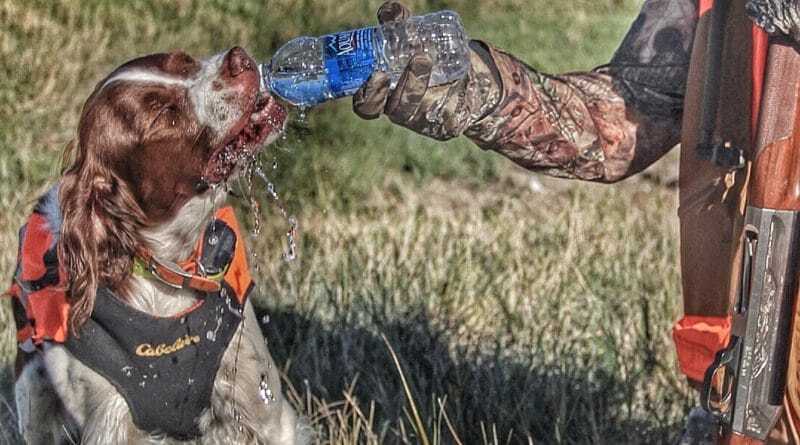 The partnership that exists between the hunter and his or her dog is perhaps the most profound connection that humans have with animals. Unfortunately, our beloved hunting dogs are subjected to harsh conditions and hazards and often sustain injuries in the field. 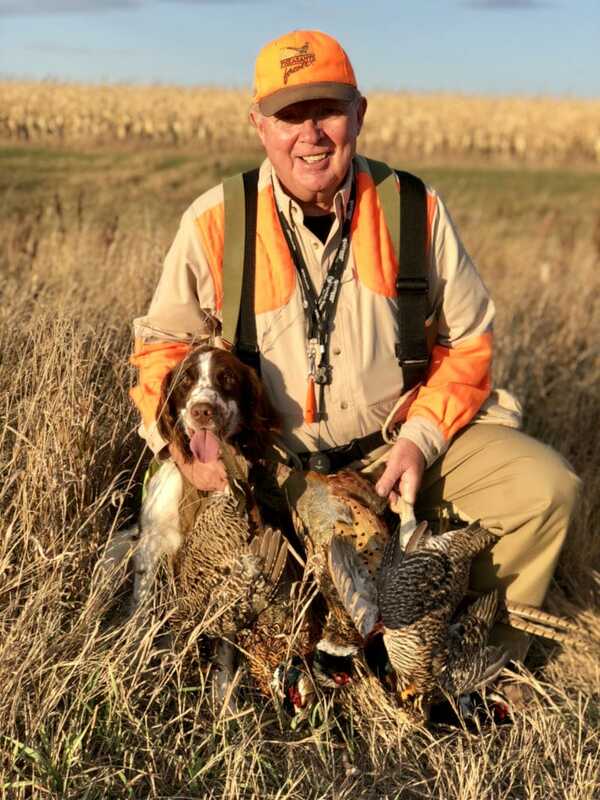 HuntTested interviewed Dr. Kelly Benning, from Village Animal Hospital in Minnetonka Minnesota, and Dr. Laura Handcock from Animal Clinic Ltd in Winner South Dakota, to answer your first aid and field care questions to help keep your hunting dog healthy and safe. HuntTested: What are the most common health issues/injuries that you treat in hunting dogs? Dr. Benning: Lacerations, eye injuries/foreign bodies and lameness are the most common. We see occasional exercise-induced collapse, hypoglycemia, toxin exposures, and heat stroke or hypothermia as well. Dr. Handcock: We commonly see hunting dogs for lacerations generally sustained from barbed wire. These injuries can anything from a minor scratch which only requires cleaning and antibiotics to multiple deep lacerations which require suturing. We also treat many cases of pododermatitis which usually results from plant material entering the skin between the toes. This condition is extremely painful and can result in significant lameness in your hunting companion. Every year we also treat several dogs for hyperthermia. Many of these dogs do not survive so it is important to monitor your dog during the hunt even on frigid days. HuntTested: For cuts, how do you recommend hunters treat the cut in the field? Dr. Benning: Cuts in the field can vary from small lacerations to large wounds requiring stitches. Smaller cuts can be managed with cleaning/flushing out debris, applying triple antibiotic ointment and using a liquid bandage. Any wounds that are jagged, actively bleeding or more intense should be treated by a veterinarian to prevent infection and allow for proper healing. Dr. Handcock: The most important thing is to stop the hemorrhage. If the wound/s are bleeding profusely apply a firm bandage to the area. We recommend using something like vet wrap. Getting your dog to a veterinarian ASAP helps improve the chances that the wound can be sutured and return to function will be faster. If the wound is not bleeding bandaging it to keep it clean and calling a veterinarian is best. Please don’t put anything on the wound without consulting a veterinarian first. Also, don’t feed your dog. Sedating a dog that has recently eaten is dangerous. HuntTested: How do you know when the cut is bad enough to require stitches or vet care? Dr. Benning: Deep wounds that penetrate under the skin layers, large wounds over 2″ or in areas where skin motion is a factor (such as the flank) are less likely to heal with field care and therefore should be addressed with a veterinarian. Dr. Handcock: Any wound that is through the skin completely will require suturing. Wounds that aren’t sutured will have to heal by secondary intention which is time-consuming and more prone to infection. If you are unsure contact your veterinarian. HuntTested: Would you recommend that hunters learn to suture cuts? Dr. Handcock: I do not recommend that hunters’ suture cuts themselves. If you have an incredibly calm dog at the very least local anesthesia would be required to suture a cut and this can be painful and requires considerable knowledge to do properly. Dogs generally require sedation to have the wound sutured and this has to be conducted by a veterinarian. Your veterinarian is doing more than just suturing the wound. They are ensuring the wound is thoroughly clean and that the appropriate antibiotics and pain relief are being utilized. Pro Tip: Use a protective dog vest. Wearing protective vests and gear can reduce the number of laceration injuries. HuntTested: What about super glue, I commonly hear hunters say to just super glue a cut? Dr. Benning: Traditional Super Glue that is used on inanimate objects is not recommended. Liquid Bandage (otherwise known as tissue adhesive) can be used on skin. Dr. Handcock: Super glue shouldn’t ever be used on your dog or a wound. To cure super glue undergoes a thermal reaction which makes it very hot. This damages the tissue around the glue. The wound will become infected and often they can’t be sutured due to the loss of tissue. Tissue glue is only good for use on tiny minor or not full thickness cuts. It doesn’t cause a thermal reaction but is not strong enough to hold together a full thickness wound. Applying tissue glue until you can get to the veterinarian is not a good idea either. The tissue glue can be hard to clean from the wound and make suturing more difficult. HuntTested: What should hunters know about canine first aid? Dr. Benning: First Aid is multifaceted. Wound care, CPR, clinical signs of common injuries, toxins, and illnesses are important to have a basic knowledge. There are many classes available for people to learn first aid tricks of the trade. Reputable websites such as the American Veterinary Medical Association (AVMA) and Veterinary Information Network (VIN) have great information as well. Dr. Handcock: Having supplies to stop hemorrhaging is vitally important. Have bandage material and tourniquets available. If applying a tourniquet ensure you call a veterinarian as soon as it is applied. Having a splint or a rigid material which can be used as a splint is also a good idea. We also recommend that hunters carry electrolytes and ice packs for dogs which suffer hyperthermia. Eye lubricating drops are also something every hunter should have in their kit. Dogs often get irritated eyes when hunting and a non-medicated drop can offer them some relief. HuntTested: What are the top things hunters can do to help their dogs avoid health issues or injuries while hunting? Dr. Benning: Annual up-to-date exams, as well as pre-hunting season exams, are recommended. Keep vaccines up to date and address any concerns noted with your veterinarian. Dr. Handcock: Ensure your dog is fit before hunting season. Many dogs that injure themselves or suffer hyperthermia were not in good enough shape when they started hunting. Start a training program with your dog at least 6 weeks before hunting. Rest them regularly, especially if it is a warm day. Offer them water and electrolytes frequently. If a dog is too hot to drink you shouldn’t be running it. Let it cool down and rehydrate itself before taking it out again. Your dog should also be in a fit body condition. You should be able to feel ribs but not see them. Too much fat on a hunting dog can spell disaster for hyperthermia and joint/ligament injuries. You wouldn’t run a marathon with no training and your dog shouldn’t hunt without being in good shape. HuntTested: What practices do you wish hunters would stop doing as it relates to their dogs? Dr. Benning: I think some dogs are worked too hard and suffer the consequences. Lameness/overuse injuries are very common and can lead to severe injuries. Laceration care in the field can also be taken too lightly. After a wound starts to heal and then becomes infected, it takes much longer to resolve and can at times require intensive surgery. Wearing protective vests and gear can reduce the number of laceration injuries. Dr. Handcock: Many hunters carry antibiotics and pain relief drugs with them. This is great but make sure you call your veterinarian before administering them. There isn’t an antibiotic that fixes everything. Consult your veterinarian even by phone to make sure you are treating with the right drugs for the right length of time. 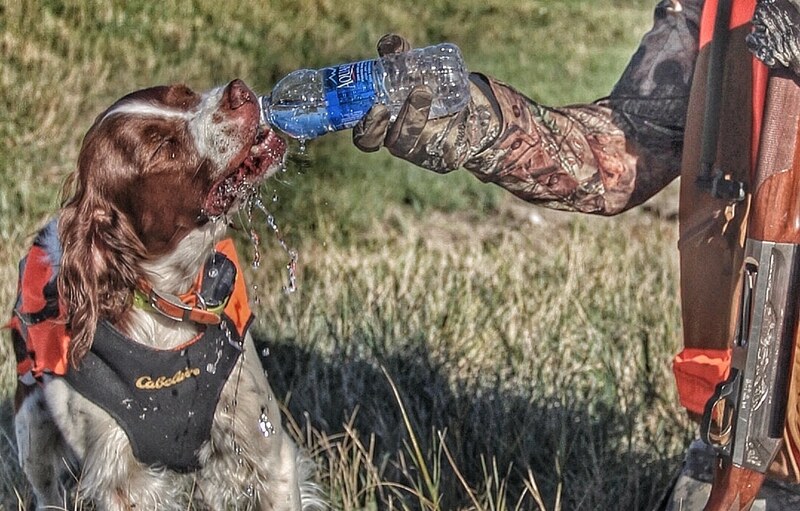 HuntTested: What items would you recommend that hunters carry in their dog first aid kit? Dr. Benning: There are many basics such as bandage supplies, antiseptic wipes, hydrogen peroxide, antibiotic ointment, tweezers, and saline eyewash. Additional items include a tick removal tool, needle nose pliers, Benedryl, mylar blanket, instant ice pack, and a muzzle would be beneficial. Dr. Handcock: Bandage material like vet wrap, cast padding, gauze, and elastikon. Hemostats are also good to have on hand if there is a major hemorrhage. Splints that fit your dog or something rigid that can be used as a splint is a great idea. Carry electrolytes and ice packs to help hyperthermia. A small cache of board spectrum antibiotics and anti-inflammatories are also a good idea. Just make sure you contact a veterinarian before giving them. If you are going to be in a new area to hunt have a list of veterinary clinics nearby and their contact details. HuntTested: Any recommendations for caring for tender feet or injured pads? Dr. Benning: If the dog will tolerate booties, these will help quite a bit. Bag Balm is a product that is useful for pad tears. Otherwise knowing the limitations of your dog is important to reduce overuse injuries. Dr. Handcock: Tender-footed dogs are usually a result of inadequate preconditioning. Make sure your dog is fit and ready for hunting season and this problem will likely resolve itself. Hunting boots can help but need to be monitored very thoroughly. Just like you wearing a new pair of shoes they can rub and cause more damage than going without. If your dog has been prepared for hunting, boots aren’t required. If your dog does injure their pad while hunting contact a veterinarian. Once hemorrhage has stopped it is best not to wrap paws as it is the only place your dog sweats from and this can delay healing. HuntTested: What are your recommendations related to avoiding tick born diseases? Dr. Benning: All hunting dogs should be vaccinated for Lyme disease as well as using veterinary supplied tick protection products (Bravecto, Frontline Gold, Advantix, etc). There are also spray repellents available to use in addition to the oral or topical monthly products. Sprays alone are not sufficient. Dr. Handcock: Ensure your pet is on good tick prevention year round. There are many products that are available from your veterinarian that are either monthly or every three months. Don’t forget to reapply! Contact a veterinarian where you live and also where you hunt to find out what tick-borne diseases are common in these areas. Some of them can be covered by vaccination or tested for. Checking your dog regularly for ticks is also a good idea. 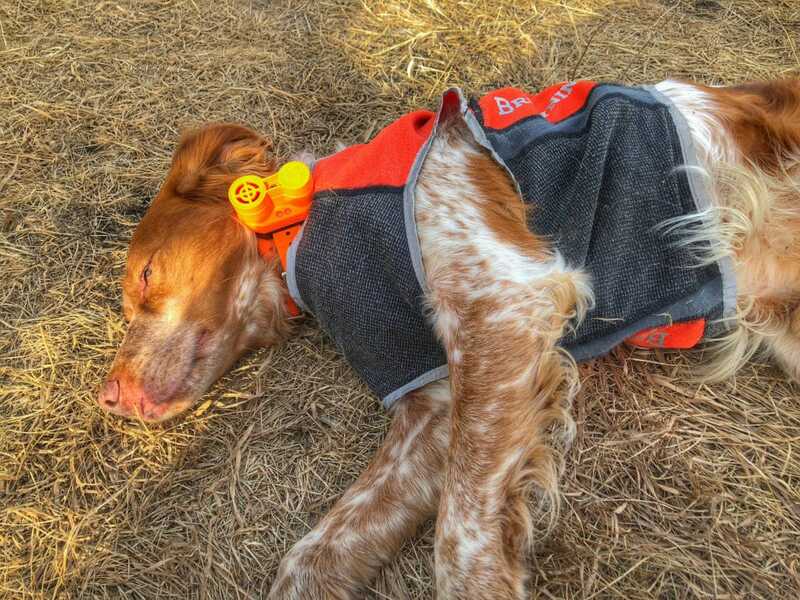 This tired Brittany is sporting a protective vest. HuntTested: My dog has tangled with a porcupine. What should I do? Dr. Benning: Porcupine quills can cause severe inflammatory reactions and abscesses. With time, the quills actually move inward rather than come out on their own. They should never be cut because that will actually cause them to splinter, making it more difficult to remove. Ideally, because of the pain and infection risks, porcupine quills should be removed with your veterinarian under sedation. Then they can also treat for infection with antibiotics and pain medication if needed. Dr. Handcock: Pulling quills out of a dog is painful. It is recommended you contact a veterinarian if your dog is quilled. Under sedation, the quills can be removed and there is less chance they will be broken off in the process. Dogs that have quills require antibiotics and can suffer long term complications if not treated appropriately. Pro Tip: Dogs often won’t show signs of injuries. It’s a good idea to look them over frequently while you’re hunting, and then give them a thorough inspection at the end of each day. HuntTested: There are multiple schools of thought on when to feed your dog when you’re hunting to avoid bloat or other issues. What’s your take? Dr. Benning: Risks of bloat are complex. Genetics/breed lines and chest size all play a big role. Feeding smaller, more frequent meals and not having your hunting dog be too active for 2 hours after eating can decrease the risks. Limit water after eating. Dogs over 7 years old are twice as likely to bloat and males are more likely to bloat than females. Dr. Handcock: It is best to not hunt your dog on a full stomach or when they are hot post hunting. Ideally, your dog should eat a few hours before hunting and a few hours after the hunting trip has ended. Making sure your dog doesn’t eat or drink too quickly is also important. If you have a dog that is ravenous it is a good idea to use a puzzle bowl when feeding to slow them down and prevent aerophagia and bloat. HuntTested: What should a hunter do if their dog is bitten by a rattlesnake? Dr. Handcock: Stay calm and keep the dog calm. If you know where your dog was bitten apply a tourniquet between the bite wound and the heart. Call a veterinarian immediately. Anti-venom is great but needs to be administered within 4 hours of the bite. The sooner the better. Cool your dog down and apply an icepack to the bite area on the way to the veterinarian. Special thank you to Dr. Kelly Benning and Dr. Laura Handcock for their assistance with this article. Dr. Kelly Benning earned her DVM degree in 2002 from the University of Minnesota College of Veterinary Medicine. After completing a surgery and emergency internship in West Palm Beach, Florida, she worked in emergency medicine in the Twin Cities area for 8 years. Currently working in general practice at Village Animal Hospital, she is passionate about helping pets live a long and healthy life. Dr. Benning lives in the Excelsior, MN area with her husband and two children. She currently has one geriatric cat and a goofy pit bull/American bulldog mix. She is an avid scuba diver and enjoys spending time on the lake an attending her kids’ sporting events. Dr. Laura Handcock graduated from Murdoch University in Western Australia in 2009. After working as a mixed animal veterinarian in Geraldton Western Australia, Dr. Handcock completed an internship at Virginia Tech in 2014. Wanting to return to mixed animal practice Dr. Handcock moved to Winner South Dakota. Here she joined Animal Clinic Ltd., eventually becoming a partner in 2017. Dr. Handcock lives in Winner with her husband Jake who works at Gary’s Gun Store, her two dogs Daisy and Perla and a grumpy cat named Carl. She enjoys hunting with her husband, ice fishing and traveling the world. Thank you to HuntTested Contributor, Gordy Krahn, for assistance and photo submissions for this article.